Young Indo-Canadian gangsters are becoming increasingly sophisticated, and adopting names and logos like the infamous outlaw motorcycle clubs, police say. A year ago police felt that Indo-Canadian gangs, despite dozens of murders, were less organized than traditional crime groups. But today there is a level of sophistication exhibited by these rival groups as they tussle over turf in B.C. 's lucrative drug trade. The RCMP's annual report on organized crime this year ranks the Indo-Canadian groups third after outlaw bikers and Asians in terms of their strength and organization in B.C. 's hierarchy of criminal organizations. In what has become the standard memorial to an accident victim, flowers and other items are left at the Marine and Main site where Sukvinder Singh (Bicky) Dosanjh died in a collision. And the killing of gang members has continued, with 10 murders since last fall of Indo-Canadians or their associates linked to gangs. The latest victim, Hardev Singh Sidhu, 27, was found slumped in his car at 136th Street and Grosvenor Road in Surrey early Friday morning. Dozens of other drive-by shootings have been investigated by police in Abbotsford, Surrey, Vancouver and elsewhere, including a second Surrey shooting early Friday outside a pub. The most disturbing trend, say police, is the increased organization of some Indo-Canadian gangsters, such as a Vancouver-based group calling itself the Independent Soldiers, and battling rival groups involved in drug trafficking. On Sept. 10, Vancouver police were called to the downtown nightclub Tonic where members of the Independent Soldiers and the Abbotsford-based UN gang attacked each other with bar stools and broken bottles. Two men were taken to hospital with injuries, but did not cooperate with police. No charges were laid. Independent Soldiers' kingpin Sukhvinder Singh (Bicky) Dosanjh was killed in a car accident at Marine and Main Street two weeks ago, leaving a void in the evolving organization with links going back to notorious cocaine dealer Bindy Johal. Dosanjh, a graduate of John Oliver secondary, is the brother of Gerpal Singh (Paul) Dosanjh, who was gunned down in March 2004 at the Gourmet Castle Restaurant in the 2800-block of East Hastings and who was also involved in the drug trade. Paul Dosanjh had survived being shot in the head in August 2003. The Dosanjh brothers are first cousins of Ron and Jimmy Dosanjh, among the original group of Indo-Canadian gangsters who were taken out in separate hits in 1994 and 1995. The high-profile murders were believed to have been arranged by Bindy Johal, their former associate-turned-rival in the cocaine trafficking world. Johal was then murdered on the dance floor of a Vancouver nightclub in December 1998 in a targeted hit arranged by his former associate Bal Buttar. Buttar remains a blind quadriplegic after an attempt on his life in August 2001 by members of his own crew. Vancouver police staked out Bicky Dosanjh's funeral last Saturday at Hamilton Harron Mortuary on Fraser Street where dozens of young men with gang links came to pay their respects to the dead gangster and former high school basketball star. Vancouver police Insp. Kash Heed said the trend to more organized Indo-Canadian crime groups is disturbing. "You are starting to see them identifying themselves in a similar way to gangs in the United States," Heed said. "Now you have Indo-Canadian gang clothing with identifiable logos." But police and Indo-Canadian community groups are also evolving in their response to the Indo-Canadian violence. Ten months ago, the B.C. government committed tens of millions of dollars to the new B.C. Integrated Gang Task Force, which is targeting the violence among young Indo-Canadian gangsters that has led to dozens of murders in the last decade. Independent Soldiers' kingpin Sukvinder Singh (Bicky) Dosanjh, who died two weeks ago, and the gang's emblem. "We've had unbelievable cooperation from all the departments and agencies to put this together," Robin said in an interview. "Everyone's aware that this is a long-term commitment." Robin said the task force is putting its effort into targeting violent individuals in groups who are currently active. "What our purpose is is to target those individuals who are extremely violent," he said, adding that some on the list may be suspects in unsolved murders. "It takes probably more resources than one single department or detachment could put together." Robin said the Indo-Canadian gangsters do not follow the model of true organized criminals "and in some ways that makes them more dangerous." The new task force is gathering and coordinating intelligence on the Indo-Canadian gangs better than before, Robin said. "That is one of the things we are really working hard on," he said. But they are also involved in major criminal investigations. "We are just scratching the surface. We are in here for the long term and none of us expect to turn this around overnight." There have been several key arrests both in B.C. and Washington state related to Indo-Canadian organized crime. Last April and May, several alleged Indo-Canadian gangsters were arrested in two separate kidnapping and unlawful confinement cases and are now facing a series of charges. And in the U.S., an alleged ecstasy dealer and would-be politician named Ravinder Kaur Shergill was arrested after the Drug Enforcement Agency taped her in an undercover sting operation. One of the most high-profile arrests was of Vancouver lawyer Kuldip Singh Chaggar, who was convicted in Seattle last April of tampering with a witness in a drug case involving alleged Indo-Canadian crime figures who were caught in a cross-border trafficking case. Chaggar is now serving a year in jail, although he is appealing his conviction. RCMP Insp. Paul Nadeau, head of the regional drug section, said the Indo-Canadians are primarily specializing in the transport of marijuana, with so many in the community involved in the commercial trucking industry. He said the Indo-Canadians are contracting to other crime groups to deliver their product. Nadeau said that the use of commercial trucks to transport pot to the U.S. is up about 400 per cent over the last three years. Jaskiren Sidhu, of the youth group UNITED, said it is disturbing to learn of the increasing sophistication of the Indo-Canadian crime groups. But he said the Indo-Canadian community is taking steps to prevent further violence. Groups like UNITED, VIRSA and others have been working with police and government to come up with strategies to combat the problem. "For the first time, the police, the community and governments are coordinating their response in a very significant way," Sidhu said. UNITED is doing mentoring and sports programs for youth and also working with a production company to develop anti-gang public service announcements. "But there are no easy fixes. It is going to take a long time to reduce the level of violence and the power of the crime groups," Sidhu said. The federal and provincial governments are committed to strategies to end the violence. A 10-person committee of Indo-Canadian professionals is working on a report for the federal government, to be delivered this fall, on the Indo-Canadian gang problem. Other groups are also working within the community to warn kids to stay away from gang life. But there is still an attraction for youth to the mythic power of dead gangsters like the Dosanjhs and Bindy Johal, Heed said. "Some youth looked up to these people and they still look up to these people as mentors," Heed said. Proof of his belief are several websites still active where people spout on about which Indo-Canadian gangster they admire most. Bindy Johal still seems to get the most response, though other names of both dead and living Indo-Canadian crime figures are bandied about as heroes. What has changed is that the Indo-Canadian community is taking ownership of the issue like never before, Heed said, with many groups being formed to steer young people away from gang life. "We are starting to see little pockets of success, with several initiatives put in place in the last year," Heed said. Vancouver police have been pro-active in following gang members to ensure they are not carrying weapons when they come downtown on a weekend to party. "The message is if you come into Vancouver to party, you better behave," Heed said. Vancouver nightclub shootings have been down in the last year, though there are still bar fights like the one that broke out Sept. 10. Heed said that if Vancouver police become aware of a dispute between rival groups that could lead to an attempt on someone's life, officers get directly involved. "We will go to the parents of these individuals and tell them what is going on," Heed said. Parents do what they can to keep an eye on their kid. "We have had significant success with this particular strategy. Heed said there has been an "inordinate number of shots fired in southeast Vancouver," the neighbourhood where many of the Indo-Canadian gangsters still live. "That is the area under my direct command. Fortunately, it has not resulted in any injuries," Heed said. "There have been shootings into vehicles, into houses or in the air. It is the bravado behaviour of individuals when they are out partying." While much of the Indo-Canadian gang violence used to take place in Vancouver, it has shifted to cities east of downtown as the Indo-Canadian population has grown in those areas, Heed said. Abbotsford and Surrey have had more of the killings in the last year and much of the gun action. Vancouver police have also developed a graphic presentation on gang violence, which they have given to families, community leaders and "even to some youth at risk," Heed said. 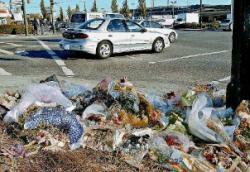 - Sept. 30, 2005 -- Hardev Singh Sidhu, 27, was found shot to death in a car at 136th Street and Grosvenor Road in Surrey. He is believed to have been involved in the drug trade. - Aug. 28, 2005 -- Hartinder (Harry) Gill and his girlfriend Lexi Madsen were gunned down at a busy intersection in Abbotsford. Gill was facing an attempted murder charge at the time of his death and was well-known to police. His house was hit by gunfire in July. - May 13, 2005 -- Surrey resident Dean Mohamed Elshamy, 30, was found slumped in a late-model grey Audi in the parking lot of a Mac's store at 72nd Avenue and Scott Road in Surrey. While Elshamy is Egyptian, the intended target of the hit is believed to have been his buddy, Sandip Singh Duhre, who was uninjured in both the May shooting and a second incident in July 2005. 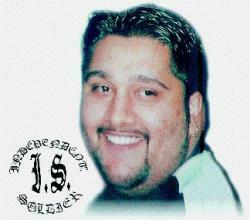 - May 7, 2005 -- Inderjit Singh Rai, 23, shot to death about 2:30 a.m. in the 9800-block 140th Street in Surrey. - April 2, 2005 -- Sukh Jawanda, killed on a rural road in Abbotsford. His friend was injured in the shooting.